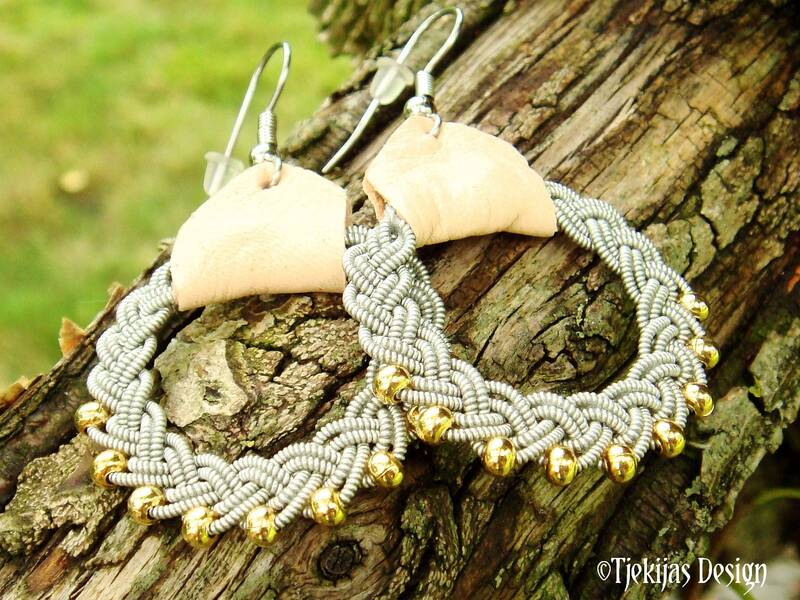 14k Gold filled beads woven into spun pewter silver braids. Completed with soft vegetable tanned reindeer leather or lambskin, and surgical steel ear wires with back stoppers. 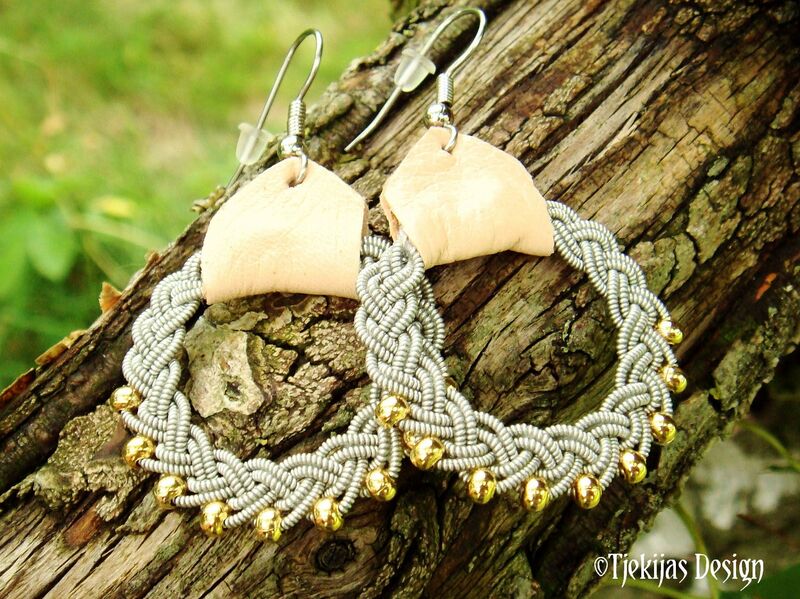 The Pewter braids are carefully coated with water based clear lacquer, to keep their shape. Hangs approx 5,5 cm (2.1"). 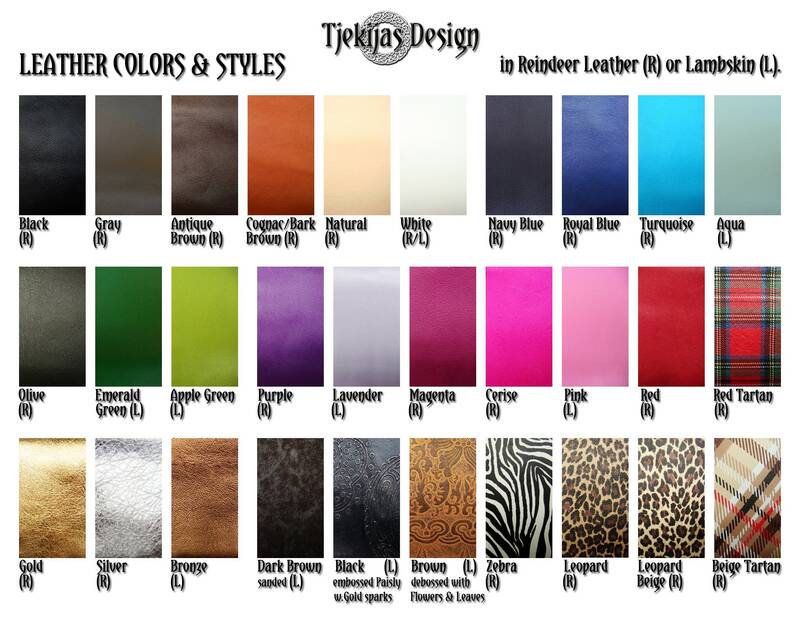 Width: approx. 3,3 cm (1.3"). Design: RIMFAXE Gold - The frosty maned black horse of the night, who drags the moon over the sky. Pulls together with Skinfaxe (horse of the day) the giant Nat's chariot, in Norse mythology. 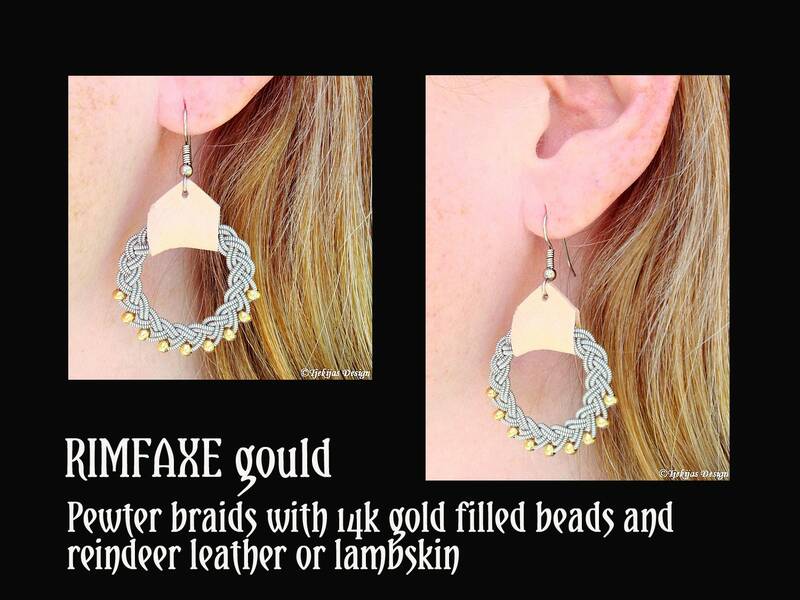 Your new Rimfaxe Sami earrings normally ships within 3-4 days from received order.